Lunchtime is an important part of the day, this is when workers get away from their desk and relax while having a bite to eat. 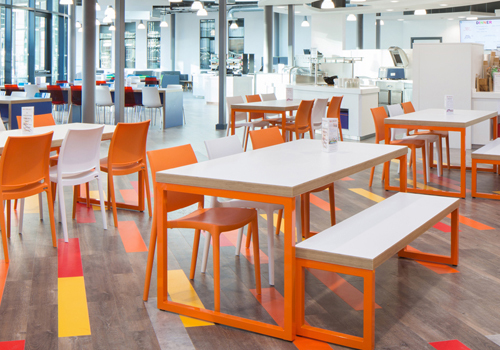 The first thought that comes to mind when it comes to canteens is probably the food but your office canteen furniture should not be overlooked. It is important to provide the right levels of comfort as well as functionality and efficiency when it comes to furnishing your cafeteria. 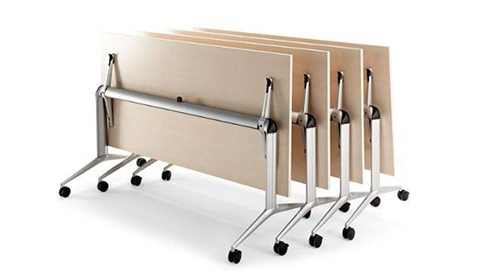 Our wide range of canteen furniture provides all the necessary components when it comes to furnishing your staffroom. We have furniture to suit office staffrooms, schools, university canteens, bistros and other busy canteen environments such as hospital cafeterias. Our canteen furniture range has many lunch table options with different designs and styles, shapes and sizes to best suit the size of your space. We have traditional round canteen tables, rectangular and square shaped too. For table tops, you have a choice for a sophisticated glass topped canteen table or a more classic and traditional wooden topped cafeteria table. The wood table tops are offered in popular finishes such as walnut, oak, beech and many more. The canteen tables are highly durable and practical as the table tops boast an easy to clean surface, perfect for the busy canteen environment. You can choose the height and width with a selection of our tables to further suit your preference. 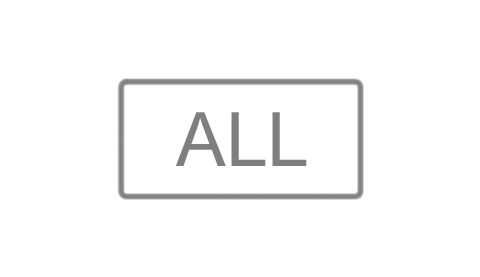 A large selection of cafeteria seating is also available. 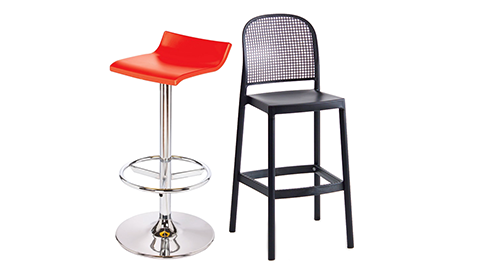 We have stackable chairs, canteen stools, bench seating, sofas and more. 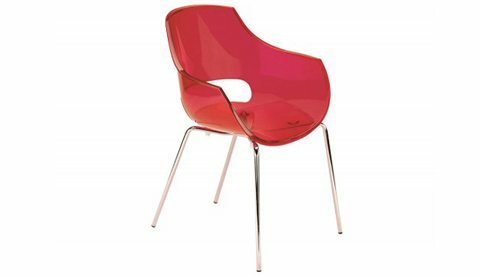 The chairs are offered in many finishes like wood, plastic, vinyls and upholstered fabrics. These chairs are guaranteed to handle the busy days in the canteen with its sturdy metal and steel frames. For back support a wide range of our canteen chairs offer low, mid-back or high back designs to accommodate your needs. Some days at work can sometimes be very stressful. Employees look forward to lunchtime as it is when they can get away from their work and unwind so it is important to have a well-designed canteen to accommodate your employee’s needs. This is where our range of highly comfortable and practical canteen seating and table arrangements can help you. Our selection of canteen seating and cafeteria tables can be coupled with each other to create the perfect set of furniture for your space. 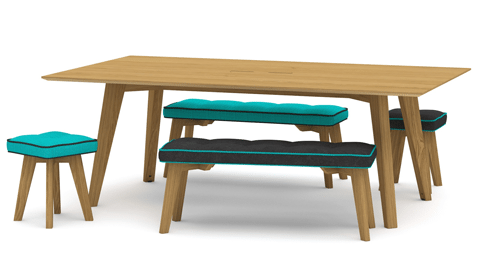 For example, our range of bench seating can be ordered with coordinating tables to perfectly complement each other. These table and chair canteen furniture combo is ideal for busy lunch environments like a big office, school, university or hospital canteens. Our range of upholstered tub chairs can be coupled with a low glass coffee table to create a stylish and relaxing canteen area which would be ideal for smaller offices and fancy coffee shops. If you do not have a lot of space in your office and you are looking to maximise the usage of your surroundings then our range of stackable canteen chairs are the choice for you. Stacking cafeteria chairs are a great solution as they can be easily stored away after use. These chairs are very durable and can withstand the rigorous activity of moving from one place to another. You can also incorporate some comfy sofas into your canteen and create a little area where workers can fully unwind. The sofas in our collection are fitted with deeply contoured foam to provide only the best level of comfort and support. The wide variety of cafeteria furniture in our online catalogue is offered with a time warranty. This ensures the durability and functionality of your furniture is guaranteed within that time period. 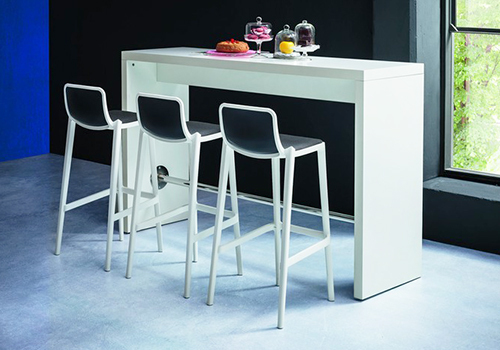 We also source our range of canteen furniture’s from some of Europe’s most trusted suppliers to guarantee you are getting the best styles and designs within your price range. If you’d like to find out more about our range of Canteen Furniture or discuss your requirements, simply request a callback.